When we think of elite athletes, the first image that comes to mind isn’t usually technology. Typically, the blood, sweat and tears we associate with athletic pursuits take over beforehand. This visual is the more romanticized version of sport: work hard and your dreams will come true. While hard work will get you somewhere, it won’t get you everywhere. Technology is becoming an increasingly more important part of sport, helping athletes succeed in ways that weren’t relevant even just a few years ago. GoPro cameras and accessories have become synonymous with extreme sports. The brand is a symbol for daring and exciting adventures that only the bravest are able to capture on film. Many athletes use the unique perspective GoPro footage can offer for fundraising purposes, or simply to give insight into what their sport is really like. Cyclist Allison Beveridge is from Calgary, and will be competing in the Women’s Team Pursuit event at the 2015 Pan Am Games. Her GoPro footage shot at the Glenmore Velodrome in Calgary shows her training for the upcoming Toronto games. The different perspective that GoPro footage provides to spectators showcases the intensity and focus required by an athlete. Allison was a bronze medallist at the track cycling world championships this year, and is expected to contend for a medal in her event this summer at the Pan Am Games. Twitter is a platform that allows an individual or an organization to connect with the masses. Whether it’s a business, a celebrity or an athlete, Twitter provides a place where people can interact with those that they’re interested in. 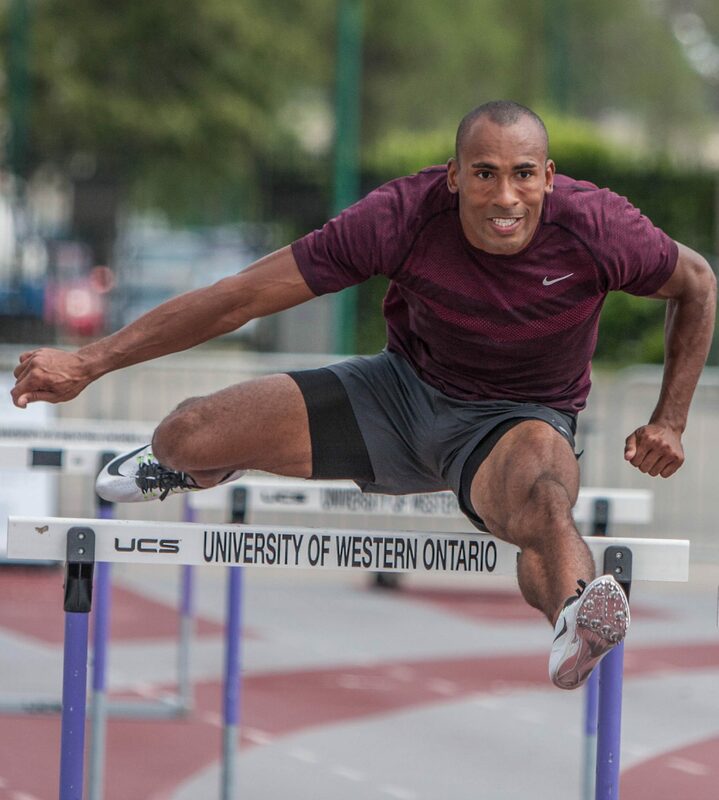 Canadian decathlete Damian Warner, who finished fifth at the 2012 London Olympics, has been using Twitter for a number of years, and boasts over 2,500 followers. His Twitter features constant updates of his athletic pursuits, media appearances and support for the Canadian Tire Jumpstart initiative. He also uses a Freelap timer belt, which he says, “accurately measures my time for running, especially in the 100 and 400. There is a device on my finger which starts the clock going and then a sensor knows when I have crossed the finish line. This gives me a very accurate timing of my speed runs.” A relatively new technology, Freelap is an electronic timing system that gives athletes the benefit of viewing their results immediately. She’s also using her smartphone to help her become a better athlete. “I find the most vital part of my training is the drive to improve. With the assistance of my phone and computer I can use technology to record my workouts,” she said. “[This] has helped as an aid to better prepare myself to compete against myself, as training partners are not always accessible.” The applications for smartphones in athletics are always increasing, with new fitness apps being introduced all the time. Being a dedicated athlete at a high level is a full-time job, and not always a lucrative one. 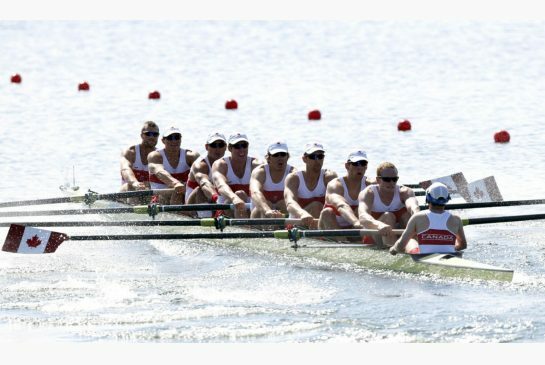 With the Pan Am/ParaPan Am games coming up here in Toronto, many athletes are struggling to meet the financial demands an event of this importance presents. Dembe, who competes for Canada in wheelchair tennis, hoped to raise $5,000 to fund his travel to international competitions prior to the ParaPan Am games. A Paralympian, he is the top-ranked player in Canada and is funding his journey to these games using Tilt. Tilt is a popular crowdfunding website based in San Francisco, and its most distinct feature being the ‘Tilt amount.’ This means that no one is charged for their donation until the campaign reaches a specified amount of money, reducing the risk for contributors. Image taken from Joel’s Tilt campaign page. 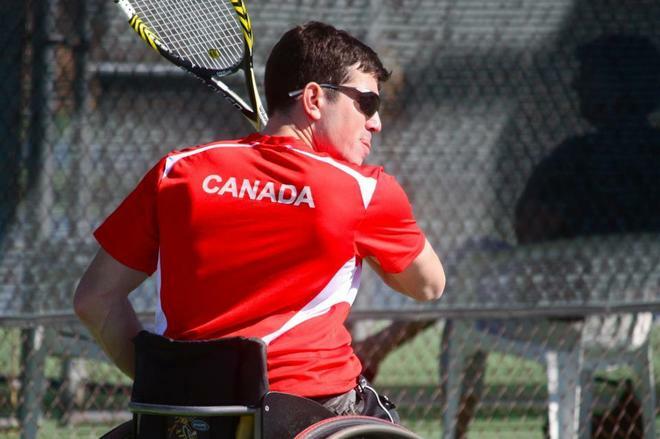 On his Tilt campaign page, Joel has written “I will be representing Canada at the Toronto 2015 ParaPan Am Games, and my goal is to finish on the podium… Leading into the ParaPan Am Games, I will need to cover training and competition expenses…I will be playing numerous national and international tennis tournaments leading into Toronto 2015. The cost of travel can be quite high with entry fees, hotel and airfare.” He managed to raise just under $4,000 through his many supporters, who are all hoping to see him reach the podium this summer. She also explains that “technology is a big part of the biomechanical analysis of our strokes and can help us identify the points of our stroke which would need improvements to help the boat move faster.” She uses something called a Spin unit, which is a small square box that sits atop the boat and measures velocity, acceleration and any other boat movements. 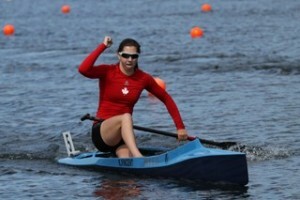 While Katie is not participating in these Pan Am Games, she’s representing Canada at the U23 World Championships and Senior World Championships. Video playback and analysis is rapidly changing the landscape of sports. Sprongo started as a video analysis service for competitive skiers, but has since expanded to be used by rowers, runners, swimmers and many others. The website allows coaches to upload videos of athletes during training or competition, giving the athlete opportunity to analyze and compare past performances. Sprongo features the ability to draw and make comments on videos, compare them side by side and increase or decrease the speed. “Video analysis used to be a time consuming and difficult process which was reserved for the most competitive athletes. Sprongo has therefore transformed the way athletes access, manage, and analyze video by simplifying the process, with having features powerful enough for Olympians but also intuitive enough to be used by six-year-olds,” explains Muzi Gazioglu, a Sprongo employee. With the Pan Am Games just a few short weeks away, and the ParaPan Am Games (August 7th-15th) coming up quickly, Canadian Athletes are prepared and ready to succeed. Whether it’s Sprongo, Twitter, Freelap or Tilt they’re using, these athletes are almost as good with technology as they are at their sports.